According to the American Heart Association, nearly one in three adults in the United States has high blood pressure, also known as hypertension, is a serious health problem that can lead to heart attacks, strokes, kidney failure and vision loss. Normal blood pressure is below 120/80 mmHg, where 120 denotes the systolic pressure and 80 refers to the diastolic pressure. 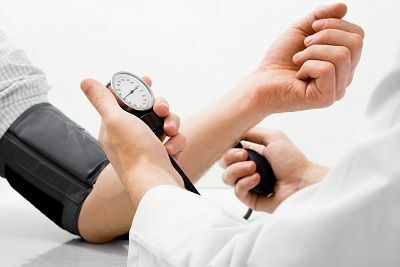 A consistent blood pressure reading of 140/90 mmHg or higher is considered high blood pressure ( If blood pressure is 90/60 mmHg or less, it is referred to as low blood pressure ). Common causes of high blood pressure are obesity, older, heredity, high salt intake, oral contraceptives, excessive drinking, kidney diseases, and so on. High blood pressure is known as a “silent killer” since many people don’t have any visible symptoms, click here to learn about the high blood pressure symptoms. Lifestyle changes and natural remedies may help to control high blood pressure, but your doctor may also recommend medication to lower high blood pressure. In this article, I will share with you that healthy lifestyles and some effective home remedies for high blood pressure. Blood pressure often increases as weight increases. In fact, for each pound lost, blood pressure may drop by two points. Losing weight also makes any blood pressure medications you’re taking more effective. Men should keep their waist measurement to less than 40 inches, while women should aim for less than 35 inches. According to the Mayo Clinic, exercising 30 to 60 minutes a day can help bring down your blood pressure numbers by 4 to 9 mmHg. The types of exercise that are most likely to benefit your blood pressure are aerobic activities, such as walking, jogging, stair-climbing, aerobic dance, swimming, bicycling, tennis, skating, skiing. People with high blood pressure should speak with their doctor first before embarking on a new exercise program. If you have high blood pressure, keeping your salt intake to a minimum is vital. You need eliminate all salt from your diet. Read labels carefully and avoid those food products that have “salt”, “soda”, “sodium”, or the symbol “Na” on the label. Even a small reduction in the sodium in your diet can reduce blood pressure by 2 to 8 mm Hg. The AHA recommends limiting your sodium intake to less than 1,500 mg of sodium a day — is appropriate for people 51 years of age or older, and individuals of any age who are African-American or who have high blood pressure, diabetes or chronic kidney disease. If you don’t feel like you can drastically reduce the sodium in your diet suddenly, cut back gradually. Your palate will adjust over time. Changing your diet is an important part of lowering high blood pressure. Research supported by the National Heart, Lung, and Blood Institute led to the development of an eating plan that can prevent and help treat high blood pressure. This eating plan is known as the Dietary Approaches to Stop Hypertension (DASH) diet. The DASH diet includes fruits and vegetables, low-fat dairy foods, beans and nuts. Following the DASH diet can lower your blood pressure by as much as 14 mmHg. Based on some medical studies, eating four stalks of celery a day can reduce the blood pressure by almost twelve percent. Celery helps to control stress hormone that has constricting effects on blood vessels — the factor that directly leads to high blood pressure. A clove of garlic is highly recommended for high blood pressure because it acts as a blood thinner. Crushing garlic cloves creates hydrogen sulfide, a compound that promotes good blood flow, removes gas and reduces the pressure on the heart. If you do not like eating raw garlic or if it causes a burning sensation, then take it along with a cup of milk.